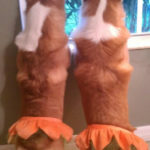 Call for Entries: 2012 Daily Corgi Howl-O-Ween Costume Contest! Yes friends, it’s that time of year again. 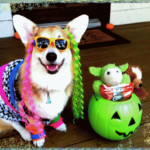 Time to scare up some serious cute and send your low riders in costume photos to the Daily Corgi’s Howl-O-Ween Costume Contest! Store bought or hand/home made costumes are OK. (Need some inspiration? Check out last year’s field of entries HERE). You may submit the same dog in more than one costume. You may enter more than one dog. Group photos are acceptable. Both living and Bridge Corgis welcome. Both purebred and Corgi mixes permitted. Eligibility open only to residents of Canada and the U.S. Previous winners permitted, but they have to be in different costumes. 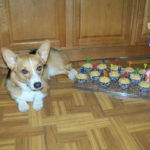 E-mail your photos to thedailycorgi@gmail.com no later than 5 PM Eastern on Friday, October 26th. The deadline is firm, no exceptions allowed. Put “Halloween” in the subject line and provide the name(s) of the dog(s) in the photos. 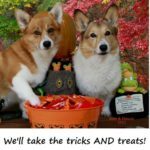 This is the only way to submit photos: posting them on the Daily Corgi facebook page will NOT count as entry into the contest. All eligible photo submissions received by the deadline will be posted on the blog this Saturday, October 27th. Voting will begin then and run through midnight on Tuesday, October 30th. Winners to be determined by popular vote (with the exception of Editor’s Pick) and will be announced, along with the cool PRIZES they’ve won, October 31st on the blog. Got questions? Drop me a line: thedailycorgi@gmail.com. 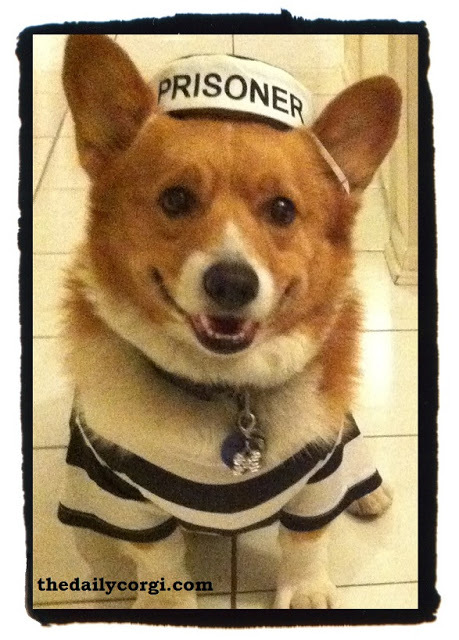 The 2012 Howl-O-Ween Costume Contest (Voting is closed). 2012 Howl-O-Ween Costume Contest WINNERS!